What are the best ways to hold a strata meeting via teleconference? Allison Benson, Kerin Benson Lawyers lists these out for you. We even suggest what no to do! How helpful is that? In the modern workplace it has become increasingly common practice that a majority of your interactions with clients or staff will not be face-to-face, therefore virtual meetings and teleconferences are widely used. In the post 30 November 2016 era of the ability to hold strata meetings (both general meetings and strata committee meetings) by electronic my prediction is that Owners Corporations will increasingly use teleconferencing (or video conferencing). To ensure that a virtual meeting or teleconference is as successful as a face-to-face, here are a few of the dos and don’ts I have learned from my experience with teleconferencing. Establish the “rules” of the meeting before the meeting (put the ‘rules’ as a note to the meeting notice). Make sure you are in a quiet room and with no (preferably) or minimal background noise. Speak loudly and clearly – particularly if you are using a conferencing phone rather than a handheld device. Use appropriate software so that the person chairing the meeting (or the strata manager assisting at the meeting) can see who is attending and can take control if need be. Avoid noisily shuffling papers, eating or talking with people outside of the conference call – when in a teleconference, limit distractions for yourself and others as you would in a face-to-face meeting. Nominate a chairperson / meeting coordinator right at the start – someone needs to take control of the meeting to ensure (a) all motions are dealt with (b) attendees are given a reasonable opportunity to speak (c) people do not speak over each other (d) the meeting runs to time. Give a quick rundown of the rules i.e. attendances are to be announced, via a roll call of lots with each lot saying “yes” and their name e.g. lot 1 “yes – Jane Smith attending”, require people identify themselves or their lot no. before speaking and take the time to explain how voting will be undertaken e.g. a roll call of each lot or if you have the software by voting buttons. Use the mute button where appropriate – if you are not speaking there’s no harm in muting your line to limit distracting noises in the background intruding on the call. Account for dead air – if there is a period of silence while you log on to your emails or find a document, explain what you are doing to avoid confusion from the elongated silence. Don’t let the meeting descend into chaos. The Chairperson must be able to control the meeting – this means if necessary – after giving a warning muting parties that have gone over reasonable time frames to address the meeting. Don’t allow attendees to make personal attacks. We hear from the media all the time about people being braver when using technology. The Chairperson should bring people to task by pointing out if a comment or objection has strayed into becoming a personal attack and requesting that the person address the issue rather than make personal comments. This is playing the ball not the person. Don’t be afraid to call for quiet. Don’t be afraid to ask people to identify themselves and the lot that they are attending on behalf of. Don’t be afraid to start the meeting on time if there is quorum. Don’t be afraid to check during the meeting if everyone is still there and listening. NSW: Q&A Can we hold Electronic Meetings and have Electronic Voting? This is general advice and is not meant to be relied upon. Please seek legal advice specific to your station. This post appears in Strata News #226. This article has been republished with permission from the author and first appeared on the Thoughts from a strata lawyer … website. Looking for Meeting Software for your area? Search within our Strata Services Directory in the category Strata Software for the best list of contacts available. 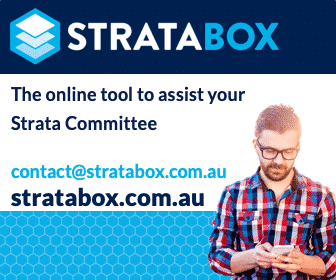 Visit Strata Committee Concerns OR NSW Strata Legislation. That’s helpful Allison – ThanQ!